After hosting the 14th annual Boston Tattoo Convention and then taking a much needed mini-break, Natan is back to creating tattoo magick at both of his shops, and has some exciting travel plans coming up in the very near future. First is an adventure over to Artisan Tattoo in Pittsburgh, PA from September 8th-12th. This is a rare opportunity for his clients further down the east coast, who find Massachusetts to be a little too far out of reach. Then he’ll be back in Salem and Saugus before he’ll be on the road again at Tommy’s Tattoo Convention in Hartford, CT the weekend of October 2nd-4th. If you’re interested in being tattooed by Natan in either Pittsburgh or Hartford, please email witchcityink@gmail.com. For more information on the Philadelphia Tattoo Convention, please click here. Steve in Inked Magazine, and a Few BTC Pics! In other news, we recently had the October 2012 issue of Inked Magazine delivered to the shop. We opened it up to find none other than our own Mr. Gillespie. Note: This piece has since been finished, and had color added. Jenny during a quiet moment at one of our booths. Jenny in another moment of focus! By the way, have you checked out her work yet? Natan with the winner of the Miss Boston Ink Beauty Contest. We were very fortunate to have a lot of our clients at the show. John is the proud owner of this back piece by Sharonn. Lastly, Sharonn has been fancying up the shop window for the holiday. Here's a peek! Fun fact: She painted this skull herself! As you may remember, Molly left us for a week at the beginning of the month to go take over Germany. Or, more accurately, to guest spot at Lowbrow Tattoo and enjoy the other side of the Atlantic. Here are two of the tattoos she did while there! 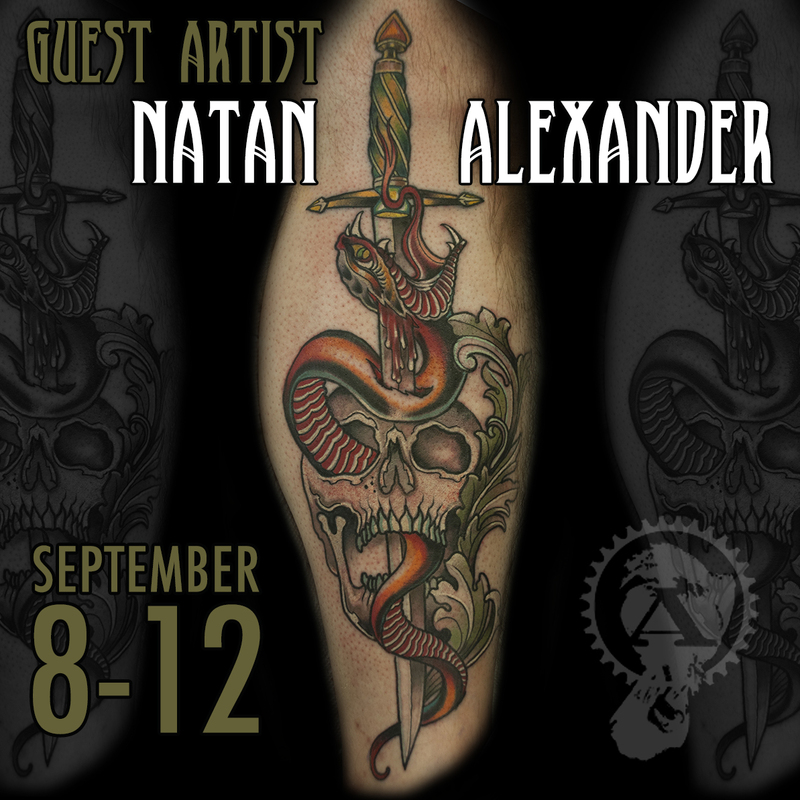 Natan Still has Openings for the Philadelphia Tattoo Convention! Natan still has openings at the Philadelphia Tattoo Arts Convention, taking place February 10th-12th at the Philadelphia Convention Center. If you’re interested in getting tattooed at the show, give us a call at 978.744.9393, or send an email over to witchcityink@gmail.com. Below is some of Natan’s work, which has won multiple awards at various conventions! And although New England has lucked out with a mild winter thus far, who doesn’t need a vacation by the time February rolls around? This is a really good excuse to get away and get tattooed. If you’ve never been, Philadelphia is a beautiful city, full of history, art, and good food. If you prefer not to drive, their public transit system is easy to figure out. So even if you choose not to spend all of your time at the convention, you’ll have plenty of things to do! We’d be more than happy to give you some recommendations. Natan will be gracing the great city of Philadelphia with his presence for the Philadelphia Tattoo Arts Convention, which is taking place February 10th-12th. And he has openings for that weekend, so if you’d like to get tattooed by him there, give us a call at 978.744.9393 or email witchcityink@gmail.com! Nobody likes New England in early January. Fortunately for Natan and Jay, they’ll be hopping on a plane and soaking up some hot Miami sun, while the rest of us up north glare outside at what will presumably be freezing temperatures and snow. This is great news for Floridians, or even anyone who is seeking an excuse for a vacation. Because the two troublemakers will be tattooing at Tattoolapalooza, and if you want to get tattooed by either of these talented fellows at the convention, they have openings. It will be a really cool event, so definitely take advantage of the opportunity if you can! It’s happening January 6-8 at the Hyatt Regency in Miama, FL – check out info below for booking with our guys. As usual, they’re in high demand so the sooner you get in touch, the better! 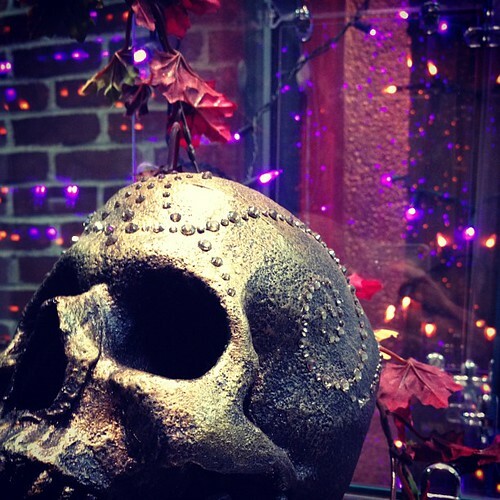 Natan: Call Witch City Ink at 978.744.9393. Jay Ski: Call Lightwave at 781.233.1780.